I've had my eyes on this Multiple from NARS ever since I've seen swatches. Multiples by NARS can be worn in several different ways, as bronzers, blushes, eye or lip colors, though I can't imagine anyone wearing these on their lips. NaPali Coast is a very beautiful color. I would describe this multiple as a coppery/peach color with a slight metallic finish. This multiple has a duo tone blend that changes positions as the light directs itself onto the color. I thought it would show up a little differently on me, but it's much lighter on my brown skin than I expected. This is the 3rd Multiple that I own and my favorite way to wear them is as a Blush. Photos and swatches were taken indoors under florescent lighting. Can you see the duo tone colors and the slight metallic finish? I think it's breathtakingly beautiful and I feel this Multiple will compliment a wide variety of skin tones. 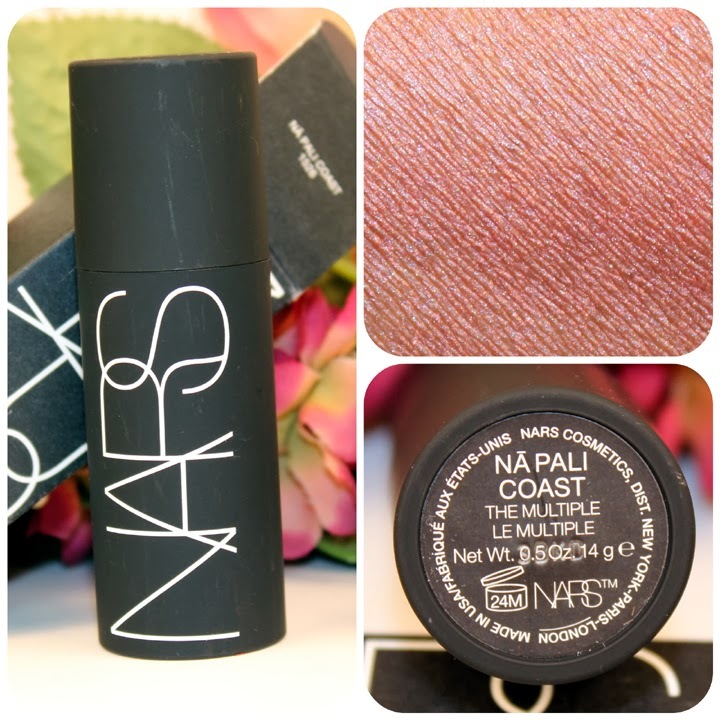 NARS Multiples sells for $39 on the Nars website and can also be purchased at any major department stores that sells NARS Cosmetics.